Australia's prime minister on Tuesday accused an influential minor political party of trying to "sell Australia's gun laws to the highest bidders" by asking the U.S. gun lobby for donations. Prime Minister Scott Morrison was responding to an Al Jazeera documentary that reported One Nation party officials Steve Dickson and James Ashby flew to the United States for meetings with pro-gun interests, including the National Rifle Association and political donors Koch Industries, in September last year, seeking money to undermine Australian gun laws. 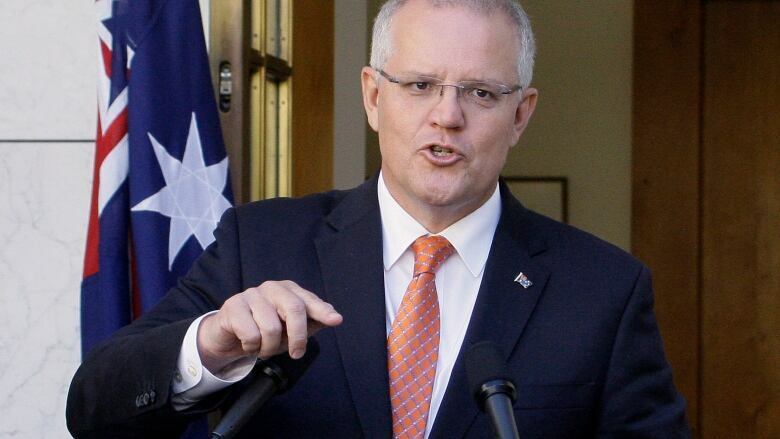 "We have reports that One Nation officials basically sought to sell Australia's gun laws to the highest bidders to a foreign buyer, and I find that abhorrent," Morrison said. Opposition leader Bill Shorten, who opinion polls suggest will be prime minister after the election, accused One Nation of a "betrayal of the Australian political system." "The idea of One National political party operatives going to the United States, seeking millions of dollars, promising to water down gun-law protection in Australia — that was absolutely horrifying," Shorten said. One Nation, an anti-Muslim party that had four senators after the 2016 election but has been left with two after defections, said in a statement that all party members "have always complied with the law." One Nation also suggested the Qatar-owned Al Jazeera had breached new laws that prohibit covert foreign interference in Australian politics. The party said it had complained to Australia's main domestic security agency and police "due to concerns of foreign interference in Australian politics in the lead-up to the imminent federal election." "One Nation was invited by Rodger Muller, who has now been outed as a foreign agent working for Al Jazeera, to meet with the NRA, American business leaders, and [to] attend the Congressional Sportsmen's Dinner" in Washington, the statement said. NRA spokesman Andrew Arulanandam referred questions about Al Jazeera's report to the group's lobbying arm, the NRA Institute for Legislative Action. NRA-ILA spokeswoman Jennifer Baker said the group had no comment on the report. Ashby, who is party leader Pauline Hanson's chief of staff, is recorded saying that the party would "own" both the Australian Senate and House of Representatives with a $20-million US donation from the U.S. gun lobby. This means the party would hold the balance of power in both chambers and influence a government's legislative agenda. "These conversations with the NRA were to look at nothing more than their techniques. This was not about sourcing money from the NRA. This was about sourcing technology, sourcing an understanding of how they operate, but never was it about seeking $20 million from the NRA," Ashby told reporters. 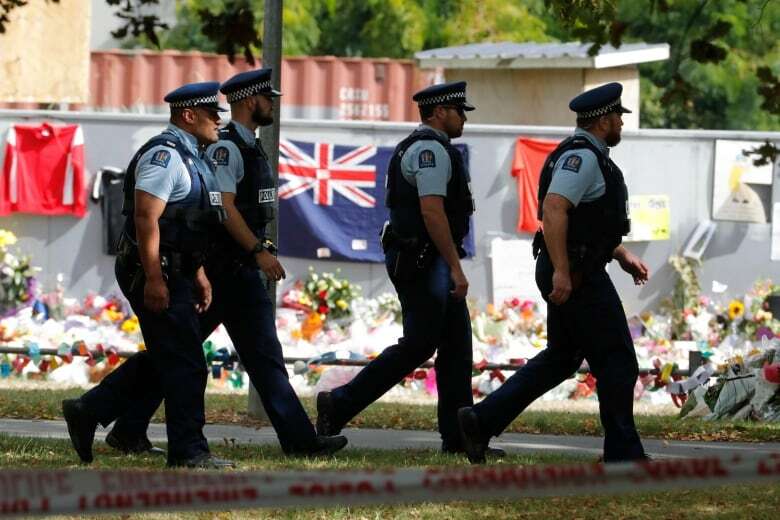 The news followed the mosque attacks in New Zealand on March 15, for which an Australian white supremacist has been charged with murder. New Zealand has responded by banning a range of semi-automatic weapons and foreshadowing a government-funded buyback of newly outlawed guns. The country's response is similar to how Australia strengthened its gun laws following the murders of 35 people by a lone gunman in 1996 in Tasmania. One Nation state president Steve Dickson, who is a Senate candidate in the next election, travelled with Ashby and Muller to the United States to ask for political donations, Al Jazeera reported. Dickson told NRA officials that the Australian gun control model "will poison us all, unless we stop it," Al Jazeera reported. Dickson told reporters on Tuesday he supported Australia's gun laws. He said he had not solicited donations in the United States, but conceded his party was not wealthy. "I will tell you the absolute, humble truth. When I was asked: 'Do we need money to run election campaigns?' I said: 'Yes,"' Dickson told reporters. 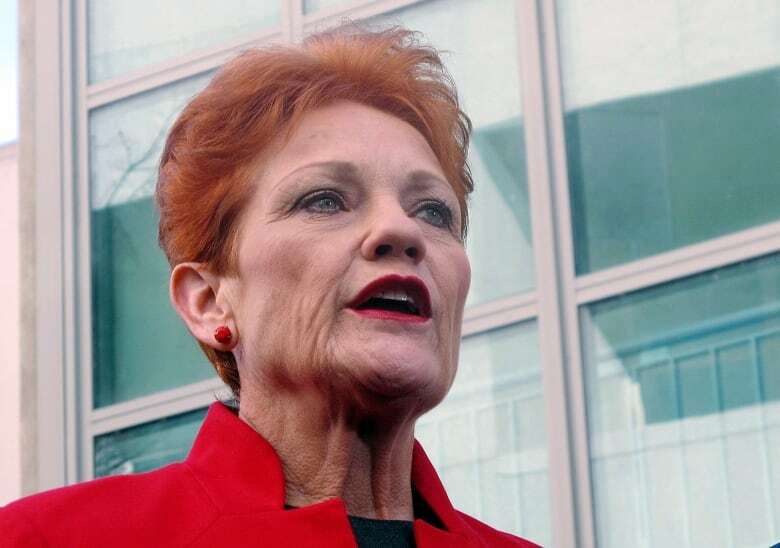 Hanson, One Nation's leader who was criticized for wearing a burqa in the Senate, voted for the ban on foreign donations in November. "Overseas money should not have an influence in our political scene … so I believe foreign donations should be stopped," Hanson told the Senate. Ashby and Dickson said Hanson did not speak to reporters on Tuesday because she was unwell.